Locally or internationally, creating meaningful social change requires a strong foundation of practical and analytical skills to turn visions into reality. With an MBA and M.A. in Community Development and Planning (CDP), you will acquire the tools to become a socially conscious leader, ready to play a vital role in the private, public, or nonprofit sectors. This powerful combination of master degrees enables you to build complementary sets of skills and competencies to become an effective change agent. Gain professional standing quickly with two masters degrees. Join both our AACSB-accredited Graduate School of Management, and our renowned International Development, Community, and Environment department. Gain experience impacting economically challenged communities through various hands-on learning opportunities. Enhance your academic experience through customized advising. After conducting field work in Haiti, Lelani Williams developed an innovative solution for women in developing countries who lack adequate cooking resources and infrastructure. Her solar-powered cookers are efficient, effective, and sustainable. The desire to help women was always there, but I didn’t know how until my Capstone evolved. With the solar cooker, women will be able to cook for their families without having to cut down trees. Our program helps students question, understand, and build knowledge. They integrate many perspectives to solve critical community issues. They learn through out-of-the-classroom opportunities to practice leadership – as an intern, conducting research, or engaging with the local community and area businesses. Because of our program’s small size, you will form strong relationships with our faculty and fellow students. Join our diverse community of scholar-practitioners as they apply management practices to society’s biggest problems. Join the Clark Net Impact chapter – part of a global network of engaged students and professionals working on social challenges to protect the environment and orient businesses and products toward the greater good. Volunteer with various organizations in Worcester, including food justice and education programs, urban/brownfield revitalization, economic and workforce development, commercial development, energy sustainability projects, youth development, and more. Engage with Clark’s violence prevention work funded by the Senator Charles E. Shannon Community Safety Initiative, a comprehensive exemplar of community-engaged research and advocacy. What makes a city, community, or region healthy? What are the causes of disparity in the distribution of land, food, and natural resources? In what ways do particular visions for social change and justice drive educational and youth-focused initiatives at community, national, and international levels? Research efforts are strongly shaped by local and global needs. In addition to faculty-led projects, students have the opportunity to conduct research beyond their final capstone project. 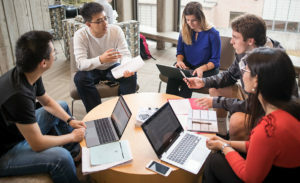 This unique dual-degree program has been designed to meet the needs of a broad range of organizations looking for socially conscious leaders. To be successful, nonprofit and grassroots organizations need capable, committed leaders with sound management and financial skills—as well as a thorough understanding of strategies to transform communities. These skills are increasingly needed to advance social change in ways that are sustainable and impactful. 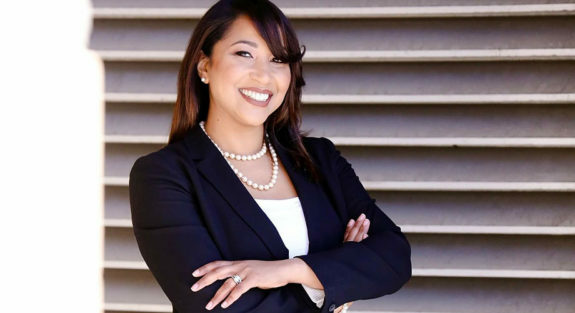 Graduates of the MBA/M.A program become part of the new generation of socially conscious managers who are bringing about positive social, economic, and political change. They work for prestigious organizations in the public and private sectors, including finance, environmental science, nonprofits, urban planning, government, consulting, technology corporations, education, and more. 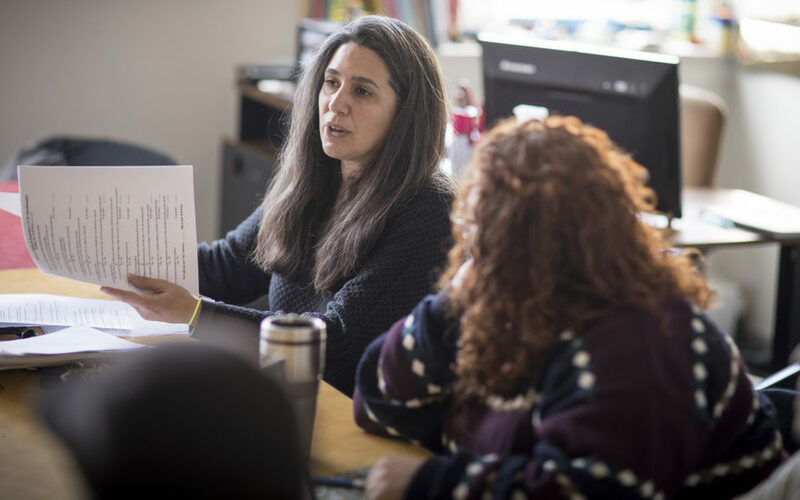 A respected voice in the Worcester community, Professor Ross works to promote social justice in youth development and researches topics that include youth violence, homelessness, and youth worker education. Kathryn focuses on the regeneration of urban districts and the role of the community in defining and implementing change. Professor Borges‐Méndez's research focuses on workforce development and labor markets, governance, immigration, and Latinos in the USA and Latin America.